Grand Central Publishing, 9780446612319, 360pp. Easy Rawlins is trying to stay as far from crime and its consequences as a black man can in 1964 L.A. But trouble still finds a way to his door. An old friend asks Easy to find his stepson, Brawly Brown, a good kid gone angry and missing. Too quickly Easy finds himself riding with a revolutionary group out to fight racism, dodging the police, who want to pin him for murder, and looking for the right kind of answers from the wrong kind of women. With little help from this world, Easy gets it from the next-from Mouse, his greatest friend and worst betrayal. But while Mouse's legacy may help Easy save young Brawly's life, it may cost him his own. 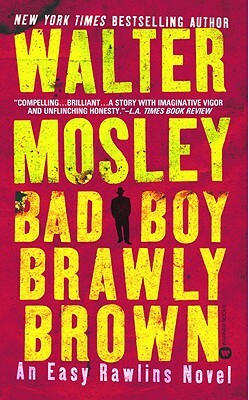 Walter Mosley is the author many novels, including Fearless Jones, the acclaimed Easy Rawlins series of mysteries, and Always Outnumbered, Always Outgunned, for which he received the Anisfeld-Wolf Award. He was born in Los Angeles and lives in New York.